A mass-market paperback edition of The Voyage of the Dawn Treader, book five in the classic fantasy series, The Chronicles of Narnia. This edition features black-and-white interior artwork by the original illustrator of Narnia, Pauline Baynes. The Voyage of the Dawn Treader is the fifth book in C. S. Lewis's classic fantasy series, which has been drawing readers of all ages into a magical land with unforgettable characters for over sixty years. 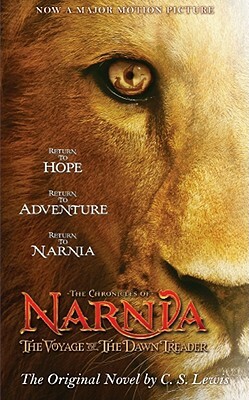 This is a novel that stands on its own, but if you would like to read about more Narnian adventures, pick up The Silver Chair, the sixth book in The Chronicles of Narnia.